I started this wonderful journey a little over 5 years ago right here in Traverse City, the Cherry Capital. Traverse City being a highly sought after place for weddings, parties, events, and a destination for many year around. I decided to focus my passion and highly talented artistic skills, on helping people get ready for events. Rather it be life changing like a wedding, an everyday color and cut, or if they are just painting the town with friends. I can help with it all. I continue my education taking classes from some of the industry’s top name professionals, which helps me create the perfect all around look for anyone. I am constantly keeping up with the latest fashions and trends, to assure you I can get that style you are looking for. Have you fallen in love yet? Ready to get started? Call Stephanie today. 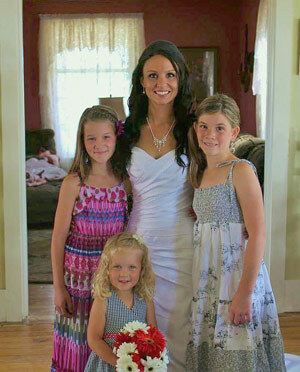 Traverse City Bridal Hair Styling, including Airbrush Makeup.